Additional payments to the pension next year will be about 950 thousand Russians who have worked for at least 30 years in the village. As reported by the FIU, the veterans, the farmers will be able to count on the monthly increase in average 2.3 thousand. Note that the increase to pension is about one thousand rubles from next year to all the unemployed Russian pensioners. But for those who live in the villages, the fee will be even higher. From 1 January 2019 to increase the retirement living in the villages pensioners with experience of at least 30 years will be about 2300-2400 rubles, - said the head of Ministry of labor Maxim Topilin. The Ministry in cooperation with the Pension Fund one and a half years to review the history of this question. 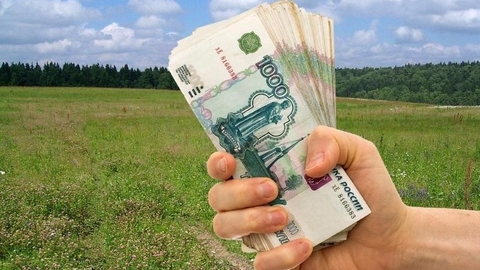 For one thousand roubles which will be received on average by all Russian pensioners in connection with rising level of pensions by 7% from January 1, the citizens will receive an additional 1300-1400 rubles. The increase was provided for by the legislation in 2017. However, due to the difficult economic situation the payment was "frozen". Only in the late autumn of this year a law on pension reform article was restored. At the end of November, Prime Minister Dmitry Medvedev approved a list of industries, professions and positions, in accordance with which it is increasing the size of the fixed payment to the insurance pensions of old-age insurance and disability pensions. Thus, payments will be able to count agronomists and livestock specialists, mechanics and drivers, veterinarians and farm managers, who worked in animal husbandry, crop cultivation, engaged in the fishing village. In the list of several hundred occupations and professions. Experts call the initiative of the Ministry of labour is fully justified. The fact is that today the average pension in rural areas lags behind of pensions of citizens. Meanwhile, costs in the villages are sometimes no less, than the expenses of the inhabitants of large settlements. Note that the recalculation of the size of payments and the appointment of appropriate allowances will be made automatically if the FIU has the data about presence at the citizen of necessary work experience in agriculture, as well as information about the fact that he continues to live in rural areas.